Anyone selling a bass amp? Wellington region? 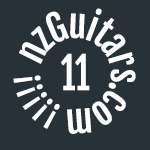 [sorted]Where to get a Kala u-bass restrung in Wellington? Whats an Ibanez SDGR 885 bass worth? NSD: Korg G5 - Now w/ Sound Clip! GF whispered "Babe I wanna play bass"
SWR bass amp repairs in Hamilton - recommendations?